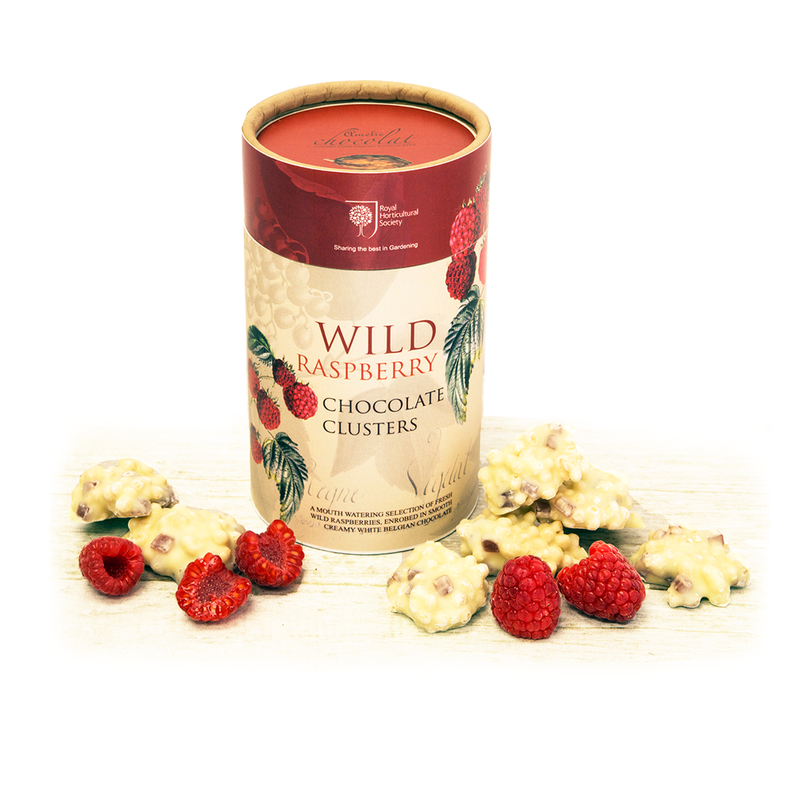 Click the button below to add the RHS Wild Raspberry Chocolate Clusters to your wish list. Delicious clusters of creamy white Belgian chocolate and pieces of freeze dried wild raspberries make up this indulgent and very moreish treat. The newest addition to our RHS “Chocolates by Nature” collection, this makes a wonderful gift of the finest ingredients. Finished with your personalised message card, and presented in a classic rigid gift box that has been designed using exclusive artwork from the world renowned RHS Lindley Library artwork collection, this is an exceptional gift with a difference!